Over the past few years, pressure has begun to mount on the professional football team in Washington D.C. for their use of an offensive term for a team mascot. Dozens of news and media outlets have chosen to boycott the mascot and refer to the team as I just have — “the professional football team in D.C.” It’s because the name of the actual mascot is an outright slur that wouldn’t even be in the vocabulary of a decent person, were it not for its singular appearance in the NFL. Team owner Daniel Snyder is indifferent about the campaign, going as far as telling reporters to print the word “never” in capital letters when writing about the prospects of a name change. It’s a damning situation, but a surprisingly common one. However, some teams such as the Florida State Seminoles have gained acceptance from local First Nations people because of their particularly respectful representations. While there is obviously some problematic baggage to any representation — because a flat-out genocide was the sole catalyst for such usage — it’s good to see the people affected have a voice among FSU. If we were to truly be critical of our time on this campus, our own mascot should be up for discussion as well. The gaucho is an equivalent of the North American cowboy. The depiction we use is a cartoon and it’s comical, but definitely not in a good-natured way. In fact, it’s quite dehumanizing. The fact that we use cultural terms like this for a cheap gimmick to make money is as off-putting and disgusting to me as it is to see a bro decked out in stereotypical drunk Mexican threads on Halloween night in I.V. So I propose that either this institution set up a cultural exchange initiative with the people of the region most commonly associated with the gaucho, which would be quite educational and potentially eye-opening for most students, or that we change the name outright. I, for one, fully support the latter measure. We have even had a history of flirting with a name change, with the Cubs being the front-runner during our transition to the UC system way back when. I would love to be a Cub; it’s catchy, cute and cuddly, with a potential mean streak. It also beats getting the usual “WTF” reaction we get when telling people what our current mascot is. If this past weekend found you asking why Columbus Day is a legitimate thing after all the terrible things he did, it’s because the people in power really just don’t care. There’s too much at stake. But why not be thinkers? Why not be empathetic? Let’s change the status quo. Mario Vasquez is a fourth-year history major. 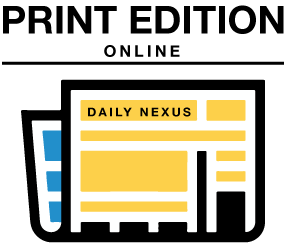 Views expressed on the Opinion page do not necessarily reflect those of the Daily Nexus or UCSB. Opinions are submitted primarily by students. 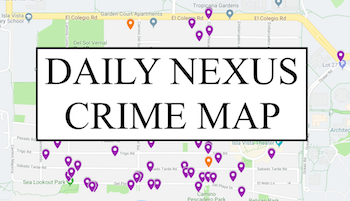 A version of this article appeared in the Tuesday, October 22, 2013 print edition of the Daily Nexus.